We’ve all worried about our finances at some point or another. But the truth is, creating a family budget that actually works is easier than most people think! Especially with the right resources. That’s why I’ve compiled the best family budget planning tips to help you successfully take back your family’s financial freedom! Are you struggling with figuring out a system that works for your family budget? You’ve come to the right place! Here you’ll find a ton of resources to guide you through setting up and running the perfect budget for your family. When I graduated with my Masters in Business (MBA) in May 2010, I had $99,856 in federal student loan debt. If you’re familiar with bankruptcy law in the United States, a federal student loan is literally the only type of debt you cannot have discharged. Failure to pay your student loans back can ruin any chance you have at financial freedom. The weight of this debt was crushing. The lowest I could get my monthly payment was upwards of $800 a month. That’s a rent payment in most areas! It didn’t take long before I found myself crushed with credit card debt. When I got pregnant unexpectedly in January 2012, our family budget didn’t look too promising. During my pregnancy, we had to defer my student loans which meant I was capitalizing an insane amount of interest into the principle of the loan. On top of that, we were drowning in monthly credit card payments. It truly felt like we would never get ahead. We were spending way faster than money came in and we had no idea if we’d have enough paycheck to paycheck to pay the bills. 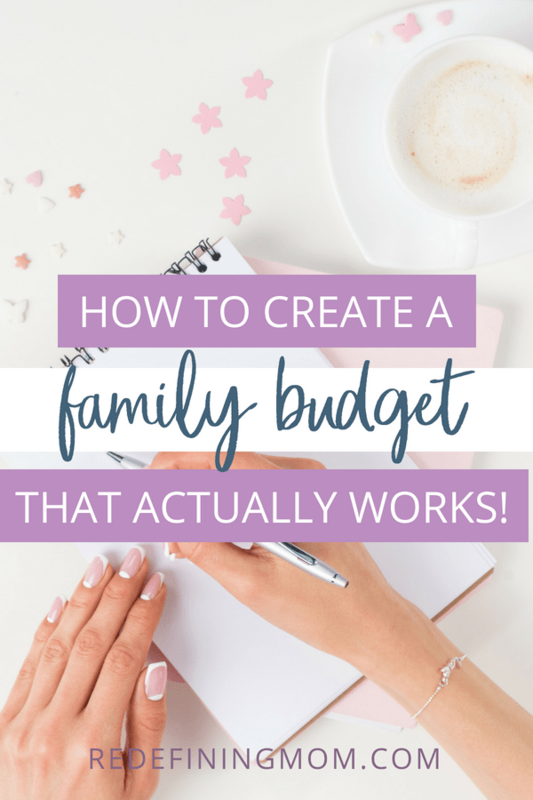 This is when I came up with a budget spreadsheet that was a game-changer for our family budget. This easy family budget plan allowed me to project our cash flow out for the entire year. Affiliate links are included below, this means I will receive a commission if you decide to purchase through my link. Budgeting for Budget Haters teaches you not only how to make a budget but how to stick with it. Take the guesswork out of budgeting reclaim control on your financial future. Grocery University is an audio course that will teach you everything you need to know about making the most of your grocery budget, regardless of whether you’re new to bargain shopping or have been a super-shopper for years. $5 Meal Plans offers simple, healthy, and affordable meal plans to help you save on your grocery budget. 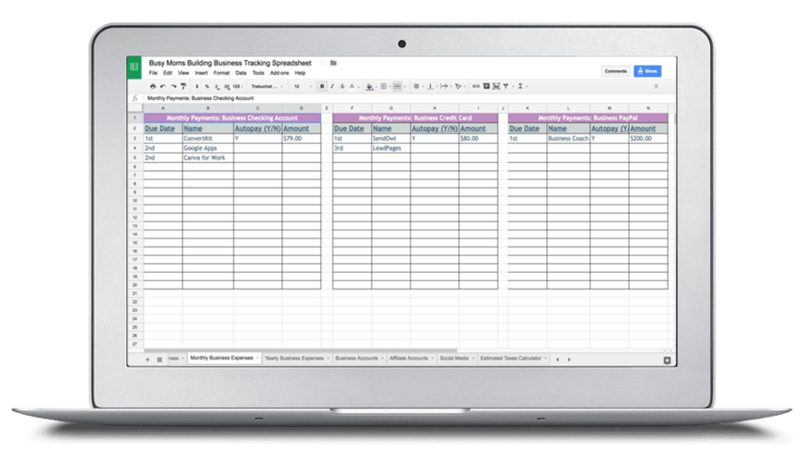 Business tracking spreadsheet I know running an online business is a lot of work. This spreadsheet helps you keep accurate records from the very beginning! Get Your Free Budgeting Printables! Download my free printable budget planner and get your finances in order!